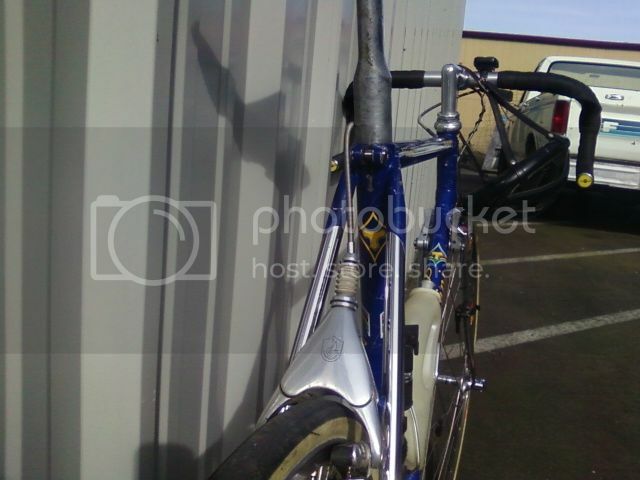 Here is my classic and beloved steel frame. I purchased second hand from a fellow employee. He used this as his competition Tri bike for a number of years. This bike has been to Ironman South Africa, Hawaiian Ironman, and several others he entered. It has also stood atop the Kemmelberg (my ride), ridden the cobbled classics of Belgium, and the Hell of the North at the Roubaix, mind only as a recreational tourist. Always looking out for a Diamante- see plenty of the Prestige/Super Prestige but the Diamante is a much rarer bike indeed! 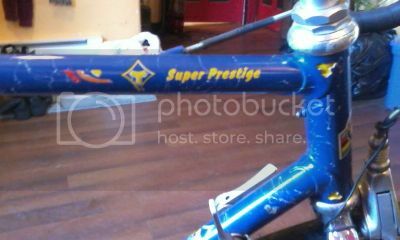 how did these compare to the super prestige and tecno? Mitsubishi comparisons aside, the Diamante was built with Columbus MS (multi-shape) tubing in the early 90's -each tube was specifically shaped. My understanding is it came after SLX, but was available before or overlapped in time with EL OS. I haven't ridden a MS frame or crimped Gilco tubing so can't comment on which rides best-but relatively speaking they must have been around a short time or sold in low numbers. thank you for the great info. i would like to experience an MS frame one of these days. 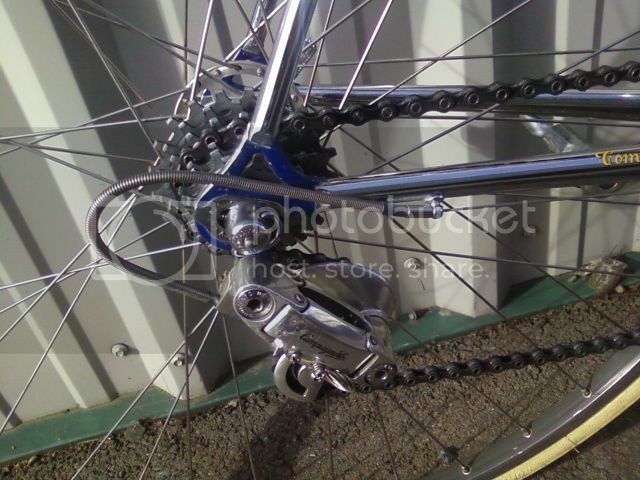 Listed on ebay: Nice bike/spec but is it a Tommasini? 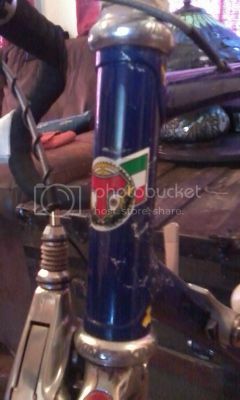 No it's not a Tommasini - according to the down tube it's a Tomasini! I believe that bike was posted/discussed here about a year ago. Somewhat misleading using the term Tommasini in the header then....? 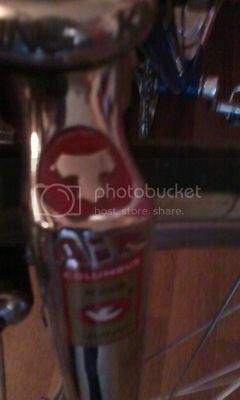 Interestingly sometimes Tommasini were I believe badged Tomas in certain markets though? Two Tommasini bikes. 1- Prestige and the other is without a name, but with a number hanger. I have no history for either, so if you want to venture a guess as far as age or model, be my guest. Both need the final 10% to be 100%. 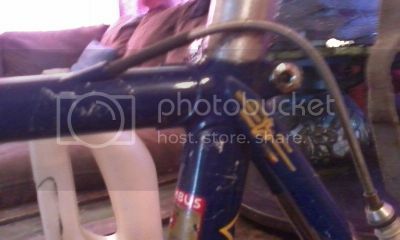 What does the columbus tubing sticker say on the "no name" bike? It says "Brain". It is a European Spec bike. I bought it as a frame and added the Chorus group and wheels. I've no idea what the orig. 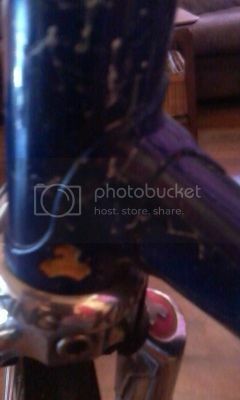 equipment was. Also, it appears to be all chrome under the paint if that helps any? No. Tomas is a different builder. My Diamante is much loved. At Hotter n Hell each year I can be guaranteed that several people will declare "bike envy" to me even amoung 10,000 plus riders. The MS tubing had an ovalized top tube, a triangle w/rounded top down tube, and different shaped chain stays going to the rear, one triangular. It is also fully chromed under the paint. The image on the bike is the Concorde SST breaking the sound barrier. Just about my favorite tires for performance, and they look great. FWIW I just received a set of Master 23s today, and I sure like the old logos like yours better. thanks! the whole build turned out perfect. it looks, fits, and feels just right. i have got one final update. 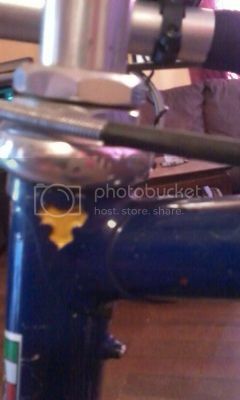 i am removing the self extracting bolts from the c-record cranks in favor of ones from a modern alloy record crankset. i think it wlll be the final touch to the mixed 8/10spd group. 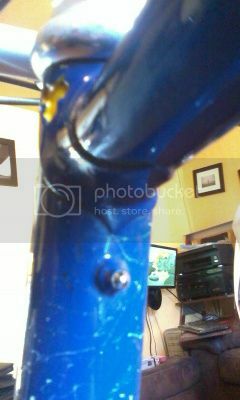 i already have the bolts and LHT crank puller, i just have not taken the time to make the swap. I don't know why I never looked/noticed before but the serial number on the BB is 95 140. I assume this means it's a '95 and maybe the 140th frame(?). I always thought it was late '80s for some reason. Now, I really love the C-Record stuff and I'm not about to take it off. But now I'm wondering how correct this is. Should I be looking for 8-speed record stuff and an earlier frame to hang this on? Hmmm, it is a 126 spacing so maybe not 8-speed but if I happen across some 7-speed Record Ergos I may be getting myself in some trouble . Thoughts? 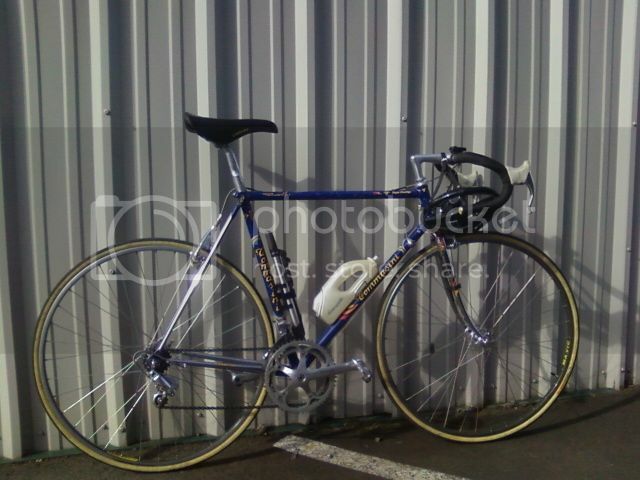 Anybody here contact Tommasini asking about there bikes history? Can they tell me how it was built up originally or if it was bought as a bare frame, etc? 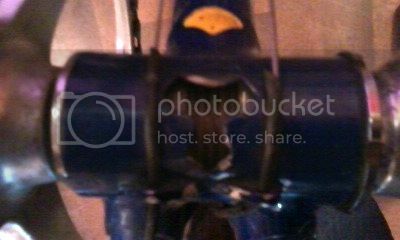 The bottom bracket numbers don't always indicate the year. I would suspect late 80's but would need to see close up pictures. 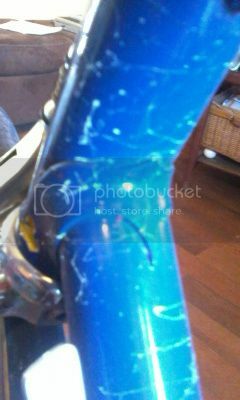 Have any pics of the headtube lugs / fork crown etc? Borrowed my wife's phone for slightly better pics... Hope these help. yes,exactly thomas,for the USA market. Not made for US market, named after a US drag race team for Italian market, and certainly not a Tomas, as the other poster stated.